Mercury mTab7, an Android 4.0 ICS based tablet is now coming up to boom the Android tablet market with the most affordable price. Kobian, an Indian Electronic company has launched an affordable piece of tablet in Indian market at Just Rs. 6499. 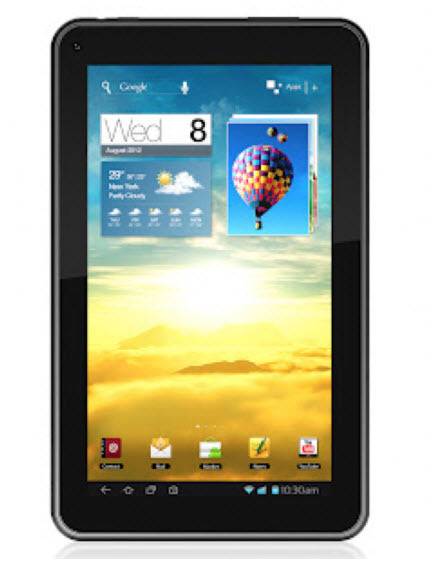 Mercury mTab7 is an Android 4.0 ICS based tablet and has got the power of 1.2 Ghz cortex A8 processor. Mercury mTab7 is featuring 7 inches capacitive touch display and also has got 0.3 MP front facing camera. Along with this you will also get the 4 GB of internal memory, 512 MB RAM which is expandable up to 32 GB via microSD card. Mercury mTab7 is hitting the big sector of tablet market which has got maximum customers. Indian market is more lucrative for price range between Rs 5000 to Rs 10000 and under this price range tablets like Mercury mTab7 are no doubt a quite lucrative deal. However how Mercury mTab7 would be accepted by users would be worth to see, as in the price range of Rs. 5000 to Rs. 10000, Micromax has big command and they are doing quite well in terms of offering the best tablet under the affordable range. Mercury mTab7 would surely be facing tight competition from Micromax.